Longest bull market in 85 years! 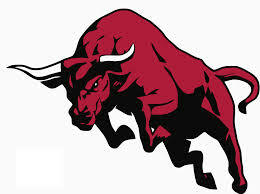 The stock market were on fire yesterday, beginning the 3rd quarter with the bulls clearly in charge. New all time highs came in yesterday, as the DOW came within two points of the highly watched 17,000 mark. The DOW closed the session at 16956,07, and that`s up +129 points, which is a new all time high. The S&P500 was rallying higher for the fist five hours yesterday, but after breaking through previous all-time high, the S&P 500 ended the session up +13 points. Nasdaq traded up +1,55%. The Bank for International Settlements has declared that stock markets are in a «euphoric» state. The Swiss-based financial institution that acts as a counterpart to national central banks has urged central banks globally to begin tightening interest-rate policies now while economies are growing rather than wait for another recession, when it will be too late. The interest-rate can`t go lower than zero, basically, and if another financial crisis should hit the economy, the central banks will be without weapons to boost the economy again, BIS said. U.S interest-rate were high at about 5,3% when last recession started in 2007, which means they were better prepared than now. What makes people scared is the longest bull market we have seen in 85 years now. The U.S market has gone more than two years without a correction, or a 10 percent drop, and that makes people nervous about stocks these days. But we have not seen so much QE either. Some investors say the markets are unprepared. «low-for-long» interest rate can come to an end, U.S unemployment falling and the Fed`s asset purchase «tapering» ending in the fourth quarter is a combination of complacency and illiquidity could turn a snowball into an avalanche. We will see a lot of important news this week. Later today we have ADP Employment Change coming in. Economists estimate private companies added 205,000 payrolls in June. Other various labor market indicators such as initial jobless claims and the regional manufacturing surveys suggest another trend-like month for payroll growth, said BofA Merril Lynch economists. Factory Orders: Economists estimate the trade deficit shrunk to $45 billion in May from $47,2 billion the month prior. The ISM import index fell back below the ne export orders index, which intimates that the deficit came back down in the month, note Wells Fargo`s John Silva. In addition; Fed Chair Yellen speaks today at 11:00 a.m EST. Everyone is listening when Janet Yellen speaks. Listen very close to every word she say. Last time she said that the market is not in a bubble. I look forward to listen to her later today.